Today’s homes are getting smarter. From lighting you can control with your voice to locks that open as you approach, technology is making life smoother and safer. But how does that translate outside the home? The same technology is rapidly growing into the garden. There are many ways you can automate your outdoor space, including connected irrigation and smart soil sensors. 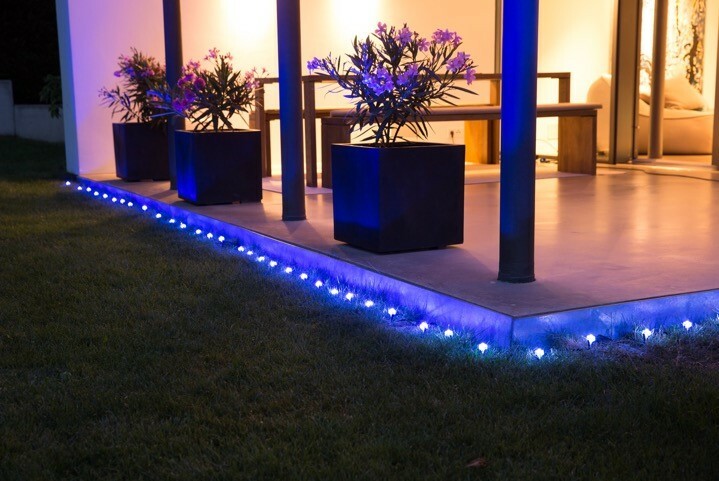 Perhaps the easiest and most enjoyable way to update your garden is with smart lighting. Energy-saving LED bulbs connect to your smartphone wirelessly and have multiple uses outside the home. They can be used as a security feature, to set lighting “scenes” in your garden or to enhance landscape features. Additionally, smart lighting can be controlled with your voice or through an app on a smartphone from anywhere in the world. Through the app, you can set schedules and routines to activate your lighting based on actions such as sunrise or sunset, when it starts to rain or when motion is sensed. At the most basic level, you can have outdoor lights turn on automatically at sunset or when a car drives into the driveway — but smart lighting can do so much more. Have your pathway lights turn on sequentially as you walk by them, dim the lights on the patio to an elegant candlelit tone while dining al fresco or illuminate your deck, landscaping and garden features with bulbs that change to match the season. Have your garden turn red, white and blue for that Fourth of July party, orange for Halloween and or a festive array of colors for the holidays. The simplest way to gain this type of control over your outdoor lighting is to replace your existing switches with smart ones. For example, if you have porch or patio lighting controlled by a switch inside the house, simply replace your existing bulbs with outdoor-rated LED bulbs and swap out your switch for a smart one. Then you can to operate the lights from anywhere via your smartphone, and create any lighting schedule you’d like. 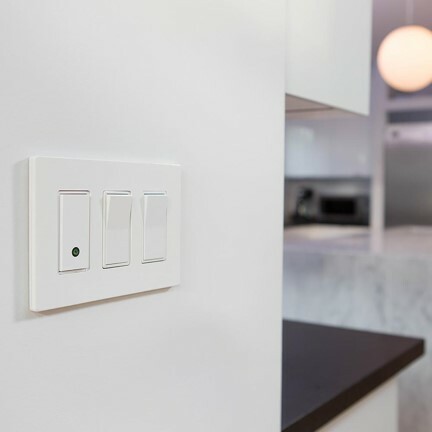 Many smart switches work with voice-activated speaker assistants for the home, such as Amazon’s Alexa and Google Home. Additionally, if you choose dimmable LED lightbulbs and a smart switch with dimming capabilities, you can use your voice or smartphone to adjust the brightness. 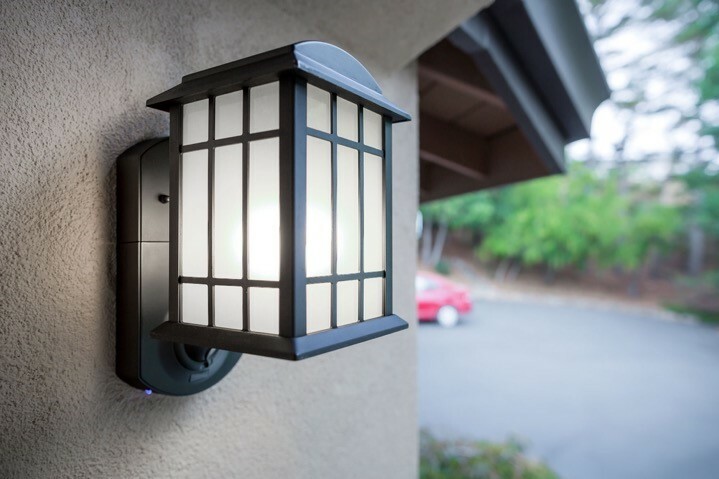 Motion-activated lights are an effective deterrent to would-be burglars, but wouldn’t it be better if that light could also send you a live video feed of your front door and let you talk to anyone who approaches? Install a smart security light, such as the Maximus by Kuna, and the light not only turns on when it senses motion, but it sends an alert to your smartphone and lets you see and talk to those who are at the door. It also has an option to sound an alarm. The real fun with smart outdoor bulbs is in landscape lighting. Transform your garden into a festival of lights for a party, or add subtle color changes to enhance the space while relaxing outdoors. Products such as Osram Lightify GardenSpots can be added to your garden or patio to illuminate it with a variety of “scenes.” Using a combination of reds, greens and blues, these smart lights can create the illusion of anything from a desert sunset to a tropical rainforest via your smartphone. A 14-foot string with nine mini-lights, GardenSpots can be linked together to cover a larger space. Installation is simple: All you need is an outlet to power it, and everything else is controlled wirelessly. If you already have landscape lighting installed, you can add smarts to it through an outdoor-rated switch in place of your existing power supply. Then you can control your outdoor lighting remotely from anywhere — including with your voice, through Siri on an iPhone or Alexa with an Echo voice-controlled assistant. An outdoor outlet or switch is also an excellent tool during the holidays to set a schedule to turn on outdoor lights, and in some cases, even monitor the amount of energy they are using. LED bulbs consume significantly less power than traditional outdoor lighting bulbs and last longer. This translates into money and energy savings for you. It also means you can enjoy your outdoor lighting with minimal maintenance. Smart lighting also can work with other connected devices in your home. For example, with the right devices, you can open your garage door, turn on your porch lights and illuminte your landscape as you approach your home. Or you could lock your smart door lock at night and have the accent landscaping lights shut off, activate the motion sensors connected to bright floodlights and ensure the garage door is shut. The possibilities are extensive and customizable to your personal needs, all of which makes investing in smart outdoor lighting a very smart decision. Jennifer Tuohy has a passion for anything technology-related and writes about gadgets, tech and more for The Home Depot. She provides advice on home automation setup and management, from smart LED lighting to smart thermostats. Click here to see Home Depot’s large selection of LED light bulbs like those Jennifer mentions in her article.